Some of you might have already met the amazing Carl, who has shared with us his Top 5 Books of 2018 post back in December. 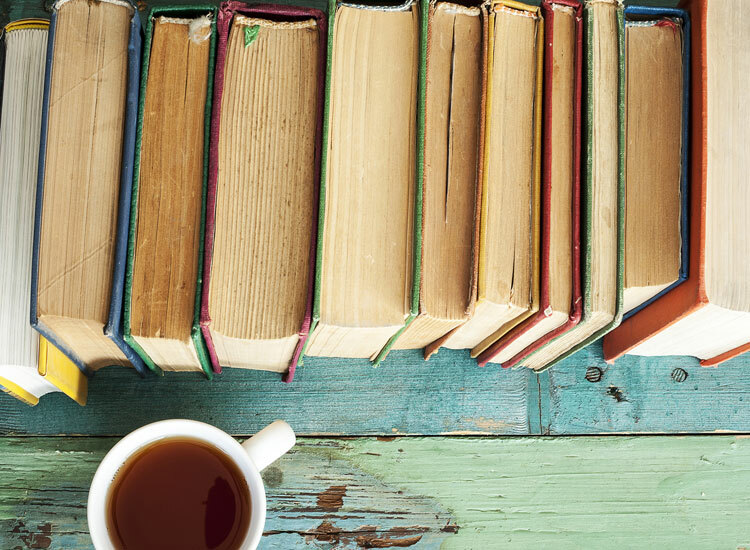 Today Carl is back with another post about how he makes his book choices! It perhaps started with the Count of Monte Cristo, when I lifted it off the shelf and felt its weight in my hands. A part of me knew it would go down in history as one of my most beloved books, one which I would persuade others to read time and time again. I never have the luxury of time to read a large volume of fiction or nonfiction beside my textbooks and lecture notes. Pair this with the fact I have the compulsion to finish every book I started makes me very cautious when choosing my next book. There is no objective methodology to selecting a good book. However, over the years, there is a pseudoscience, and water divination of sort that developed. It all begins when I put my hand on a book: The texture of the book cover makes a strong first impression. It can’t be slick and smooth, because that reminds me of the gossip magazine covers that I see in the bottom of garage sale bins. At the same time, it can’t be overly ornate or velvety, because this brings me unpleasant memory of reference textbooks in the dusty corner of the public library. The texture needs to be a bit rough, like it will stay in my hand even when the suspenseful part causes my palms to be clammy. The next obvious thing I examine is the cover. There’s a reason we make so many judgements about a cover, because it is intuitive. Just like you won’t go to a job interview in your pajamas, a book’s cover (with intention or not) should try to convey a bit of the gem within. 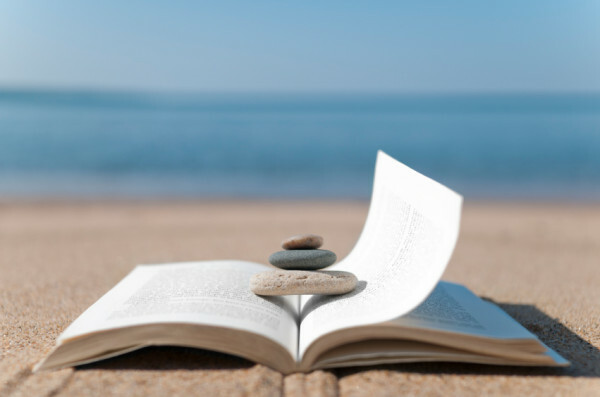 I’m with the belief that if someone spends a significant amount of time crafting that perfect story, it would make little sense for that attention to slip when it comes to choosing/designing a page that the reader will see for the first time when picking up their book. That being said, as long as the cover doesn’t seem like a collage made out of cut out from a housing advertisement (unless that’s what the plot is about of course), then I tend to accept it. The third aspect I look for is the page number. Sophie often wonders if I pick books that are simply long, so I get my money’s worth. That’s true in a practical way, but also, personally, I just can’t imagine characters to be developed and an adventure to be enthralling when the book barely passes the three hundred page mark. Of course, exceptions exist, but only when there are extreme focus in the narrative like in the Great Gatsby. I am always up for the sharp, crisp writings of a master. If you ask me which author I liked the most, Anton Chekov will always be at the top of my list. However, it takes time to develop trust in someone’s writing, especially when I have never encountered the author prior. As someone who does not have the pressure to finish a certain number of books in a year (I am pretty proud if I even go through a book a month), I can take the commitment of a long book. However, I try not to involve myself with bad commitments. The last thing I look at is, of course, the reviews. Now, I am much more cautious when reading reviews or picking up a book from an unfamiliar author. Especially reviews with outpouring of love with no mentions of cons. There is always something to complain about, that’s what language is for. It’s not a matter of negativity, it’s a matter of informing others. After all, if there is nothing to complain about in my life, what’s the point of going to a barber shop? That being said, the I try to take the review in context of the genre and the content. A five star review of a war epic that applauds the accuracy of the description of a modern day battle field strikes a very different cord than if the stars are given for the focus of day-to-day struggle of a soldiers’ life at camp. That’s why I like long reviews, especially those with personal opinions. Because if the book really strikes a cord with a reader, shouldn’t make them ramble like young adult falling in love for the first time? Like all things, there are always exceptions. If I find myself to be overloaded with books that I consider “heavy”, I’ll add a splash of easy mindless reading like Scrappy Little Nobody (by Anna Kendrik, would not recommend as a bible of life lessons, but absolute okay to throw a few hours of your life into). I just need some silly reading to keep my mind in perspective. It’s good to know once in a while that not every coffee mug on the counter has meaning. By the end of the day, it’s all about the guilty pleasure of dwelling in my own little fantasy world constructed by a book that I enjoy. How do you choose your books? How much of a role does the cover play in your choice? 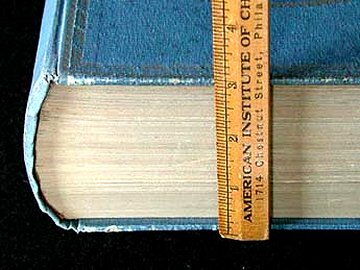 How about the length of the book? The cover really can play a huge role and sometimes that leads to some huge disappointments for me lolol, but I actually tried to avoid reading reviews before reading a book, unless it’s something I’m really on the fence about. I think I choose my books from recommendations from bloggers or YouTuber. And if I am still excited about the premises a month or so later that I will plan to pick it up soon. I probably like to have lots of different book lengths so if I have read a long book I will get a short book next. But I do agree that long books are great for really exploring the characters and character development in one of my favourite things– so if that can change from the start to the end that’s great. I’m EXACTLY the same way haha, I don’t like giving up on books and always get through them until the very end hahaha. Well, I used to be wary of books that were under 300 pages, but now, in a genre I often read, contemporary LGBTQ romances, many, if not most, are under 200 pages, and I enjoy most of them. No, I would not expect anything as profound as Crime and Punishment (Dostoyevsky is one of my favorite authors, btw 😊), but reading all these contemporary gay romances has truly opened up my eyes and broadened my horizons. It is possible to do a decent amount of character development even in the span of 200 something pages. But it also depends on how high your standards are for character development. I mean, even Shakespeare’s plays are quite short, but he manages to pack a punch with many of his characters. So yes indeed that some books can be very compact. I feel that romances have better character development in general too. For book covers, I’m with TheCaffeinatedReader up there that amazing book covers have set me up for disappointment before. I just finished a book with a stunningly beautiful cover, and an attractive blurb. But I was disappointed with the story and characters, alas. This is sad because I tend to be optimistic and positive-focused when it comes to books. About the beauty of a cover, again, it depends on your standards. 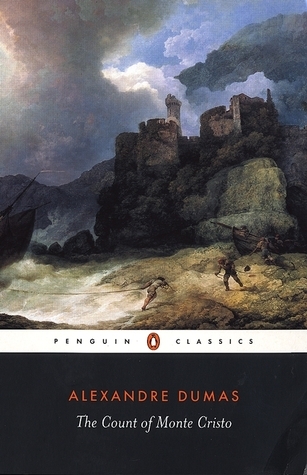 I personally find many covers of classics quite dull, though the content may be enjoyable. I usually find nonfiction covers rather boring and plain too, but there are exceptions, such as Creativity by Mihaly Csikszentmihalyi, which has a lovely image of shining water. The book I just started reading is Seidman by James Erich. It’s a historical gay romance set in Iceland. The cover looks okay, nothing remarkable. But wow, even the first few pages have sucked me in! And I actually feel very excited to read the rest of this book. To answer the question of how I choose books, first of all, unless I’m reading a nonfiction book (which would be either on psychology, psychotherapy, or writing), I would see if there are LGBTQ main characters, preferably in a romance. I simply cannot get enough of books with queer or trans representation, and I aspire to become a connoisseur of LGBTQ+ romances. Secondly, I don’t care that much about the cover, as long as it doesn’t look horrible. There may be elements that draw me to a cover, however. Once, I saw a gay romance with an Asian guy on the cover. Wow, I was intrigued when I found out that he is a Korean gay asexual. So I bought it right away. I would say that aside from the LGBT+ aspect, the number one factor that helps me decide whether to read a book, is whether the blurb sounds appealing to me. The key words are “to me”. It may be super interesting to someone else, but if it doesn’t attract me personally, then it’s no good. The overall star rating and number of reviews of a book, can influence my judgment, but not by much. I’m quite conscious of fans and friends who inflate a book’s attractiveness, and am also aware that some people give poor ratings for the silliest of reasons, e.g. complaining that there was a tragic ending when the author clearly said in the blurb that there is no happy ending. Everyone has a unique recipe in choosing their books. It’s honestly interesting to see/read about. In a way, it’s almost like water divination. I feel somewhere out there, there should be studies done on what is the most effective way to yield books that an individual enjoys. However, that wouldn’t be fun would it? I think part of the fun in picking books is how my choices and decisions reflect my own personality. For example, if I pick a book relying mainly on using the cover, what does this say about how I judge or pick people to be friends with? Does it matter if they dressed well or not? Does it matter if they looked cheery or dreary? For me, the answer would be, “Yes, it does.” First impression is an important thing for me, and how I choose books is just a reflection of that. This sometimes brings me to the uncomfortable realization that perhaps I can be superficial and that I can let my initial perception of someone misguide my future perception of them. Overtime, I came to accept that part of myself. Because by the end of the day, there are really only two things that matters to me, to be liked and to be right. And being superficial really doesn’t affect this. Haha, I’m in the psychology field, so I constantly (over)analyze other people’s and my own words and behaviors. That’s quite interesting, linking how we choose books to how we perceive people. Well, I am definitely influenced by physical appearance and presentation, but I have been fooled enough times in the past to not take my first impressions too seriously, lol. But I think I’m more affected by the person’s facial expressions, body language, and tone of voice than by their presentation (hairstyle, clothing, accessories, etc.) and appearance. How do they carry themselves? How do they move? How much or little do they smile and laugh? How much or little eye contact do they make with me? These things do impact my feeling towards the person. What I find especially interesting is how you feel towards someone if others have told you positive or negative things about them before. (So like “word of mouth” opinions about books.) There were lots of times when many friends tell me that teacher X is awful. But when I meet the teacher, expecting someone terrible, I find them okay, and in fact, they’re quite nice to me. There were also times where others say that Professor Y is amazing, and when I meet Prof Y, I think they’re cool, but I’m not as wowed as my classmates seem to be. Ah, I have not read The Idiot yet, but it’s a book I’m looking forward to! So far, I’ve read Crime and Punishment, The Brothers Karamazov, and Demons (aka The Possessed). Demons is my favorite at the moment. 😊 I find it interesting that even though I hate tragic endings in general, some of my favorite books have sad endings, lol. I would probably love these books even more if they had happy endings, though. Hmm, I guess everyone analysis, but it’s a matter of how aware they are of it maybe? Just imagine, every little action you do is being interpreted and judged by every individual you interact with. Often, I develop an initial impression of someone, but find it hard to describe the reason. Perhaps, it is those little things that got registered silently that I didn’t know I cared about. However, when I do catch myself making an initial judgement, I actively tell myself to stop doing so. It’s strange how eye contact became such an important part of communication. That is one thing that I still find difficulty with from time to time. Partly because in many animals, direct eye contact is a sign of engagement and challenge, but somehow it is much different with human interaction. People seem to expect, because apparently it is a sign of sincerity. However, any time I make eye contact, I find it hard to think. Most of this is from habit, because I never studied or written a test by looking at someone. Even when I am in a lecture, I don’t make eye contact with the lecturer, I am looking at the board or the slides. Sometimes, I don’t even know how my lecturer looks like until I approach the individual afterwards, hahaha. Even now, when face to face communication became part of the profession, I still find myself staring away when I needed to think. Otherwise, I’ll just be staring blankly right through people I talk with, which I think make people uncomfortable as well. On the other hand, there are some behavior that I engage in that I know is not the norm, but it has become so familiar with the people I interact with that they group it as a part of my identity. For example, any time I greet a co-worker, I have a slight smile tilting to the left and a small wink. People have pointed it out to me, and one day, I thought to change it. However, the moment I did so, they asked me if “anything was wrong,” because I’m not “smiling/playful as usual”. Now, I feel like I should probably just continue doing it, even though it’s such a meaningless act with no real implication by itself. It’s such a strange addiction, where people must assign an importance or opinion to things. Like porcelain cups or mason jars, would it matter which one is used to hold the water I drink? No, but you bet I’ll choose the mason jars every time if given the choice. It sounds so complicated, but when I actually buy books, I’ve recently decided to have had a family member look at them to decide it I would like them.